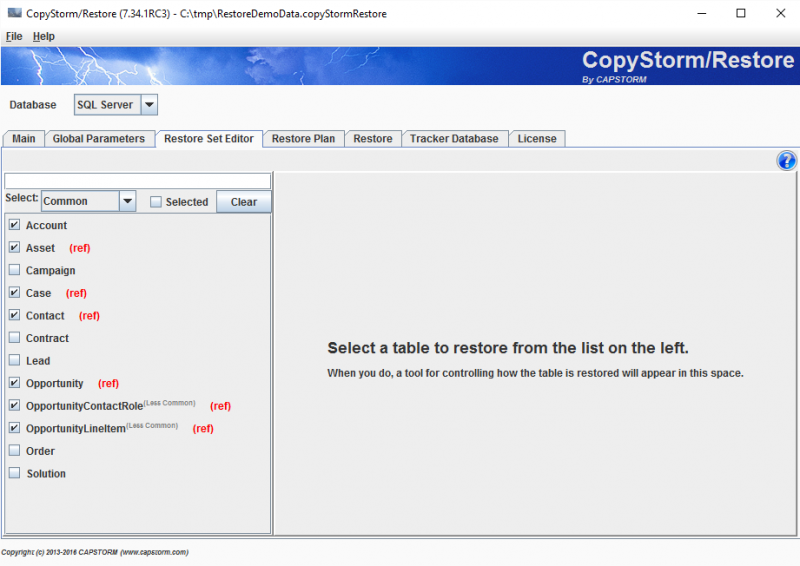 The section on the left, the Table Selector, indicates which table(s) have been selected for the restore. Tables that have been selected to be restored will always be displayed. Tables that have not been selected will appear only if their name matches the filter criteria under the “Select” drop-down located in the top of the selector. If a table name is followed by a red (ref), only records referenced by other tables in the list will be restored. The section on the right, the Table Editor, is used to control the restore parameters for the selected table on the left. In the following screen shot a table has not yet been selected. Click on the table name to display the Restore Rules. Which specific records will be restored to Salesforce. Whether Inserting, Updating, or both operations should be allowed. The “Reference Field Actions” determines how non-null reference fields in the record will be handled if the associated reference record is not already in Salesforce or restored by another rule. Available options include “Restore Referenced Record” and “Skip Record”. The “Related Lists” section indicates how to handle records referencing the restored record. 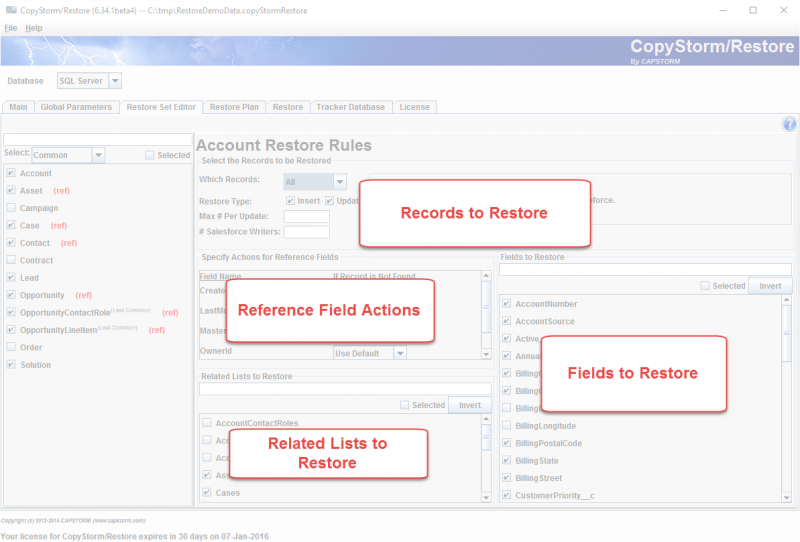 The “Fields to Restore” section allows field-level control of the restore operation. By default all fields will be restored.